The temperatures are warming up and local runners are ready to hit the trails. Don’t let common foot and ankle injuries slow you down. 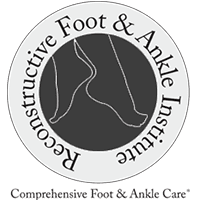 Daniel Michaels,, DPM, a podiatrist with the Reconstructive Foot & Ankle Institute, LLC says "a lot of injuries I see are from overuse. These include tendonitis, but we also see stress fractures and ligament injuries. A majority of the time these can be treated conservatively, but if this is not helpful, MRIs or x-rays are necessary." "If you are an injured runner, there are some steps you can take including 1) take a break while running, 2) take time off from running, 3) Make sure your shoes are in good shape, and 4) don't push through the pain. This could aggravate or lead to a more severe injury," says Dr. Michaels.